This pretty vintage pink dress is only $18. This cute handbag (mini tote) is only $18. It’s almost out of stock - don’t wait. If you loved the popular #nsale denim jacket - this one is under $25 - and in stock. This floral dress would be perfect for summer (and also great for fall with booties) is under $20. This snake print moto jacket is only $25 - and I am tempted to buy it! This fun gingham dress is an additional 30% off. This cozy v-neck sweater is only $25. This fun straw clutch is only $10. I love my black jeans - and these are under $40. I just bought new sneakers - and these popular ones are 25% off. 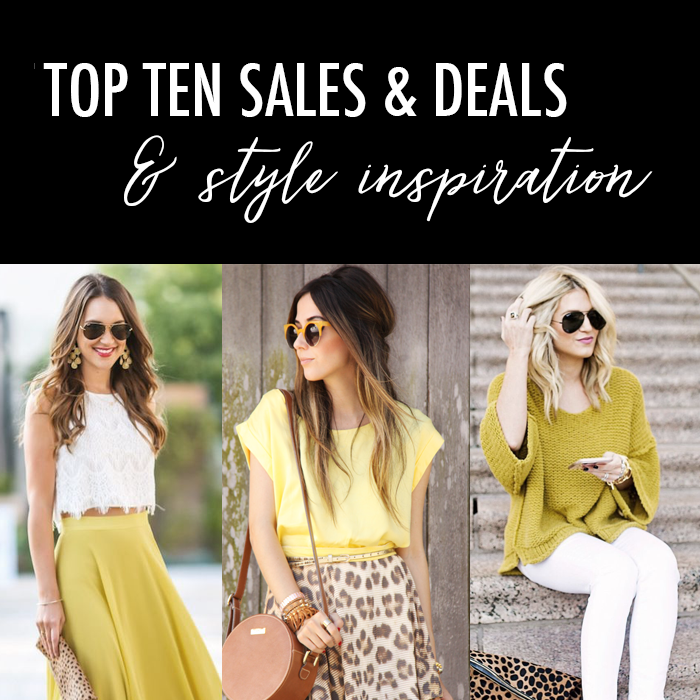 Just in case you missed it - I shared my top five summer sales & most popular items on Friday. Also, This week I shared my journey to become a fashion designer and what my favorite new fall show is. totally loving the color scheme of these outfits. sooooo cute.